What's the point of being a Christian anymore? Many Christians today are feeling unfulfilled in their walk with God, and they have no idea it's because of the little decisions they're making each day that are leading them into lives of compromise. 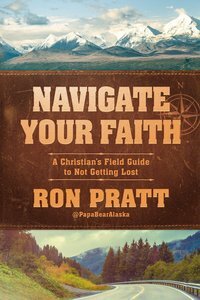 Rather than claiming that God will approve of Christians no matter what they do, as some modern ministers do, Navigate Your Faith challenges readers to take a hard look at their lives and see if they're simply incorporating Jesus into their lifestyles or allowing Him to set them on a course of His choosing. With proven strategies to rebuild lost intimacy with God, this book will help Christians recognize the deceptive tactics of the enemy, break out of complacency, and make a greater impact on the world around them. This book will help you recognize and avoid the deception of today's nominal Christian culture.